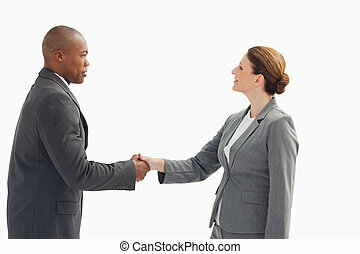 Businesswoman and businessman shaking hand. 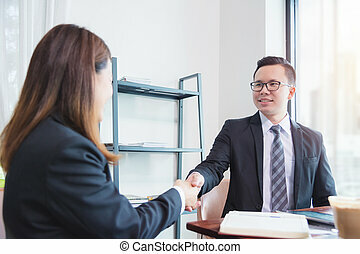 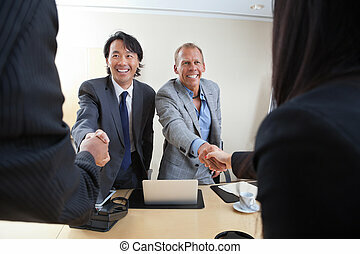 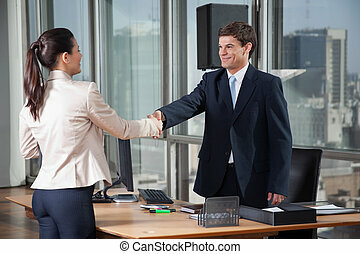 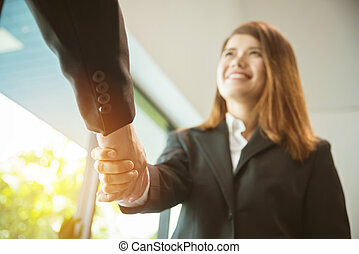 Smiling businesswoman and businessman shaking hand at presentation in office. 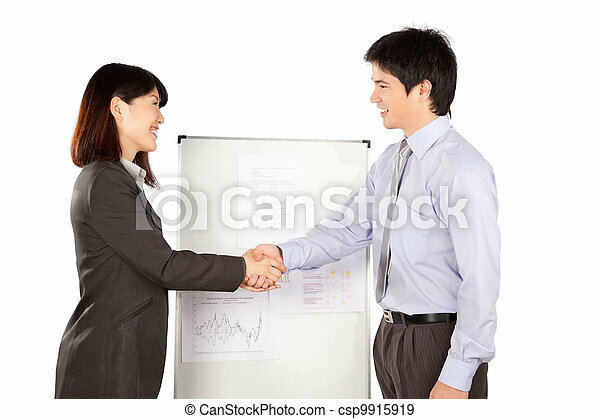 Smiling businesswoman and businessman shaking hand at presentation in office. 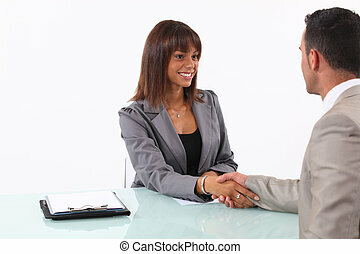 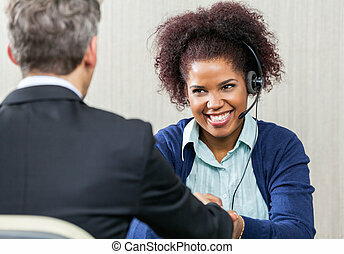 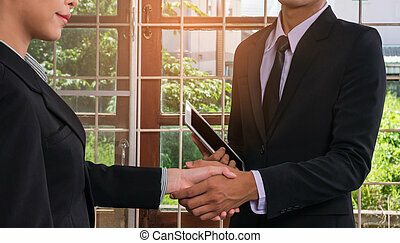 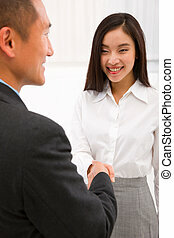 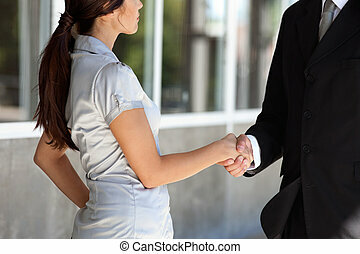 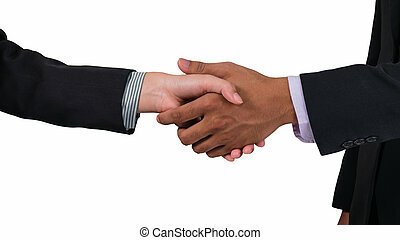 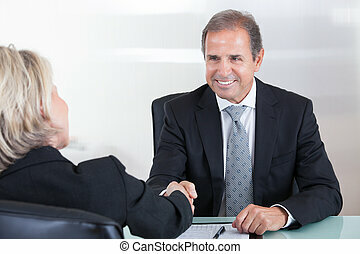 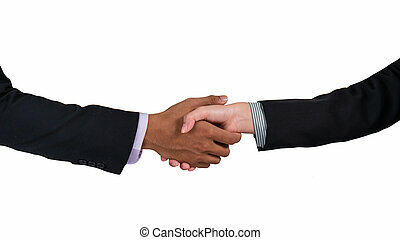 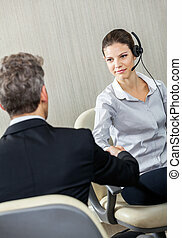 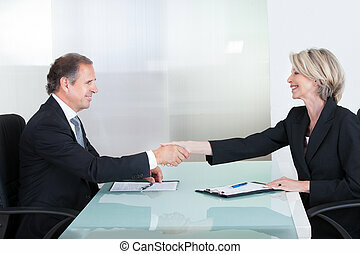 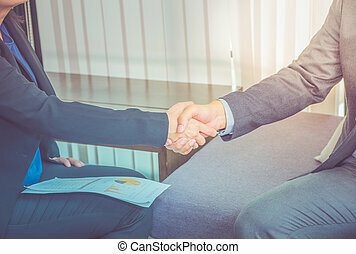 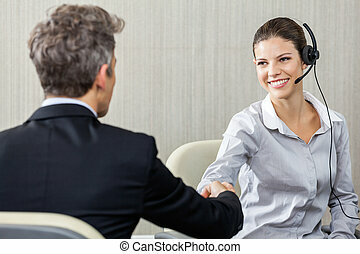 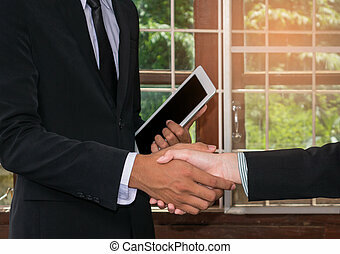 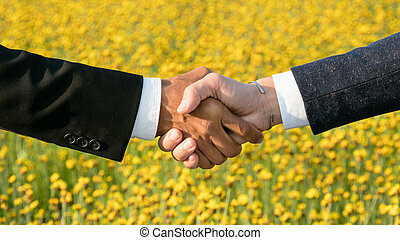 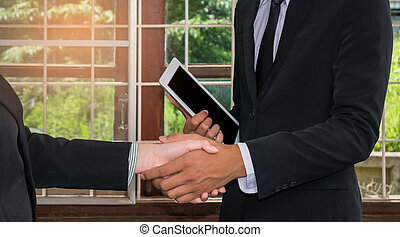 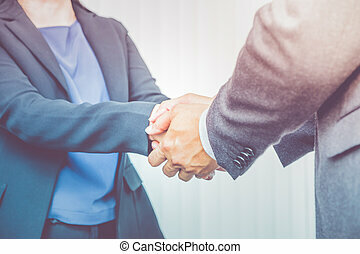 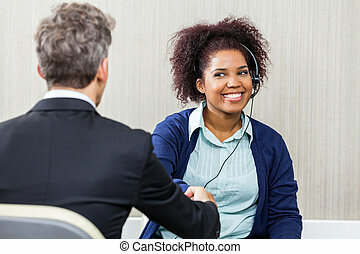 Close up businesswoman and businessman shaking hand for congratulation for success of business concept.